Can you believe Santa will be visiting in less that 3 months! Boy did time fly by! 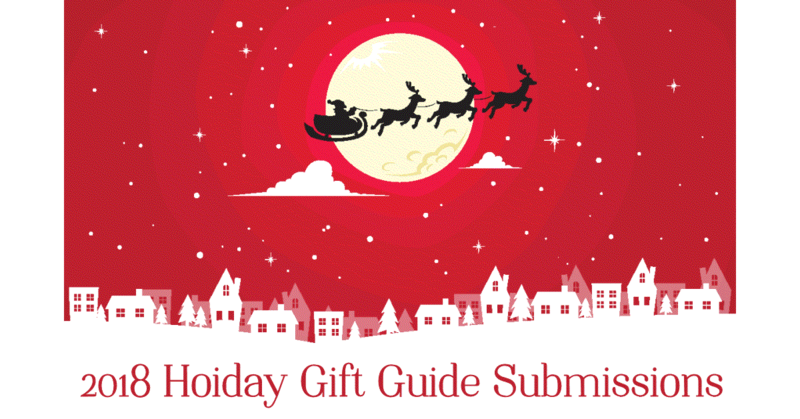 Modern Day Gramma is now accepting holiday gift guide submissions through December 8th. This holiday season we want YOU to be a part of our 2018 Holiday Gift Guide! Christmas is one of our favorite holidays, and one of the highest viewed events of the year at Modern Day Gramma! We love being able to show our readers the hottest new products. If you’d like to have your product(s) featured, please contact us at (giftguideinfo@moderndaygramma.com) so we can discuss our working together. Let’s get your brand/product to be a name the holiday shoppers won’t forget. PLUS MDG has joined an Ultimate Gift Guide Bash. I have joined an Ultimate Gift Guide Bash. We can show your product(s) to over 400,000 people. There are 12 Bloggers participating, which means you hire 1 Blogger and your review is put into the guide. The guide is on all 12 Blogs so you have the potential to be seen by well over 400,000 followers! How would you benefit? Each blogger shares their reviews so all our followers, potential new customers see your products! Your product will be seen by 415,236 viewers on social media. In addition to a combined total of 207,113 page views. The guide will go live on October 22nd, 2018 and will run through January 22nd to give those with gift cards a chance to use them on items in the guide. All links to the posts, gift guide and categories, and giveaways will be provided as they go live. To participate, we have 3 different options. All options will include the Ultimate Holiday Gift Guide. All product(s) will need to be received no later than December 8th. 1) This option is just a simple post about the product and inclusion to the gift guide. We are asking for products (or product packages – a few products that add to the valued price) valued at $50+ in full sized product(s) to be sent to Modern Day Gramma in exchange for inclusion to the gift guide. Product samples will not be returned. 2) Dedicated posts – This post is a paid post which will cost $50 if you would like a video with the review it will be $75. These are a full review of the product with pictures and at least 400 or more words. 3) For a blog post with no product received: there is a $125 sponsored post fee. A sponsored post consists of a blog post highlighting the product/service you want to have featured. For more info, please email (giftguideinfo@moderndaygramma.com). Would you like me to host a giveaway? Giveaways must have a minimum of 1 winner with at least $50 in product/gift certificate and you (the company) must ship directly to the winner(s). I will collect the winner’s information and provide it to you (the sponsor) by December 11th, 2018. All giveaways will end December 7th to enable the winner’s item to arrive by Christmas. Deadline for products received will be December 8, 2018. Deadline for sponsored posts (no products received) Will be December 14, 2018. Be sure to contact me at giftguideinfo@moderndaygramma.com with any questions. I look forward to discussing our working together this holiday season.